With tiger killings climbing to 19 for 2016, what is the government doing to make sure it doesn't get higher? Five tigers were killed, in and around Corbett in the last few months. Has the government been sleeping? In one of the biggest poaching cases in recent years, five tigers have reportedly been killed in the last few months in forests around Jim Corbett National Park in Uttarakhand. The poaching took place despite the Uttarakhand Forest Department being tipped off in advance. With this, the number of poaching and tiger part seizures for 2016 have climbed to 19. This is huge, compared with the 25 cases that were recorded in 2015. 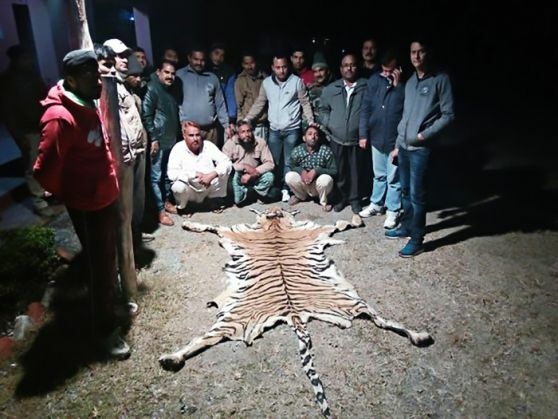 The latest tiger killings were revealed when a poacher, Ram Chandra, was arrested on Sunday, by the Uttarakhand Police's Special Task Force for wildlife. Also read: Pics don't lie: would you rather preserve these beauties or build Mopa airport? During the interrogation, Chandra said along with a few associates, he had buried the tiger skins at a village in Bijnor district. Bijnor is adjacent to the Corbett Reserve. Sadly, the Uttarakhand forest department had been warned about the possibility of tiger killings. "We gave information to the forest department on different occasions in the last three to four months. The killings could have been prevented," said Tito Joseph, programme manager at Wildlife Protection Society of India (WPSI). Data compiled by WPSI shows that the Corbett killings have taken the numbers of tigers poached (or seized) in 2016 to 19, which is three-fourths of the total number of cases in 2015. Of the 19 cases, 9 were in January itself. According to the National Tiger Conservation Authority (NTCA), there have been four instances of tiger poaching (excluding the Corbett killings) already this year. That's half the total number of instances last year. Wildlife authorities are largely clueless about why this is so. A senior official of the Wildlife Crime Control Bureau said five was a large number for one particular region, and the state government and the NTCA are answerable to what lapses may have occurred. "Corbett is one of the flagship tiger reserves of the country. If these many tigers can be poached from a premier reserve, I can only wonder about the safety of tigers are in the rest of the country. There should be a CBI enquiry into this incident," said a former member of the National Board of Wildlife. There is talk that more killings could have taken place. Sources said that 16 tiger traps have been recovered from the Corbett reserve. Three tiger skins were recovered in Nepal last month, and there is suspicion that these also belong to tigers from the Corbett-Rajaji forests. Tiger poaching is widely accepted to be an organised crime, involving elaborate arrangements with cross-border syndicates. Joseph is hopeful though. He said that the latest arrests have revealed a new network of poachers and traders, which will now have been broken. "The hope is that this kind of surveillance and enforcement will discourage poaching," he said. Tiger conservation is usually at the mercy of the foot soldiers - forest guards and rangers who regularly patrol the forests. At Corbett though, they have been disgruntled. They were not paid wages for about six months last year. Recently, forest inspectors of Corbett were on strike for the days of 15 and 16 March, demanding promotion, overtime pay and a risk allowance. The latest arrests were made by the Uttarakhand state's Special Task Force for wildlife. But the state does not have specialised tiger protection forces that the National Tiger Conservation Authority had recommended for sensitive reserves, way back in 2009. The latest killings have woken up the government from its 7 year slumber. On 16 March, a day after the skins were recovered, Uttarakhand Chief Minister Harish Rawat approved setting up the Special Tiger Protection Force for Corbett. TWEET THIS With tiger killings climbing to 19 for 2016, what is the government doing to make sure it doesn't get higher? Five tigers were killed, in and around Corbett in the last few months. Has the government been sleeping?